Ransomware is a real and present danger for organizations everywhere – and schemes are becoming more sophisticated all the time. The consequences of not being prepared are serious and costly. But you can thwart the cyber criminals to protect your data and your company by taking the right approach to backup. Find out how the Veeam Hyper-Availability Platform™ gives enterprises like yours market-leading agility, Availability and business acceleration advantages. Don’t miss the chance to experience first-hand these new capabilities, enabling you to deliver Intelligent Data Management for your business! A cloud-first strategy, implemented by many public sector organizations in the UK, requires that any given data management platform is tightly integrated with cloud technologies and allows customers to easily tier the data off to a cloud-based data center. 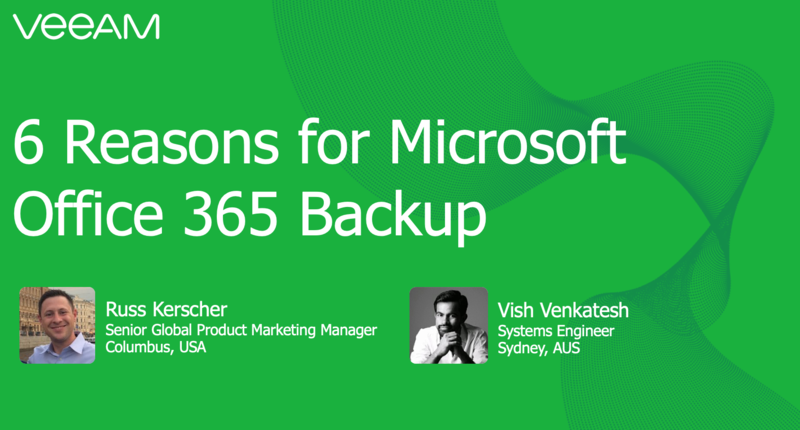 Veeam Backup & Replication™ Update 4, which was released in the end of January, provides customers with an easy, flexible and fully integrated way of sending backups to Microsoft Azure Cloud. Business data is growing exponentially day by day, along with the risk of data loss caused by data corruption, employee failure or an external attack. However, it’s hard to make effective, long-term plans for keeping your data safe when you’re wrapped up in daily system-support operations. 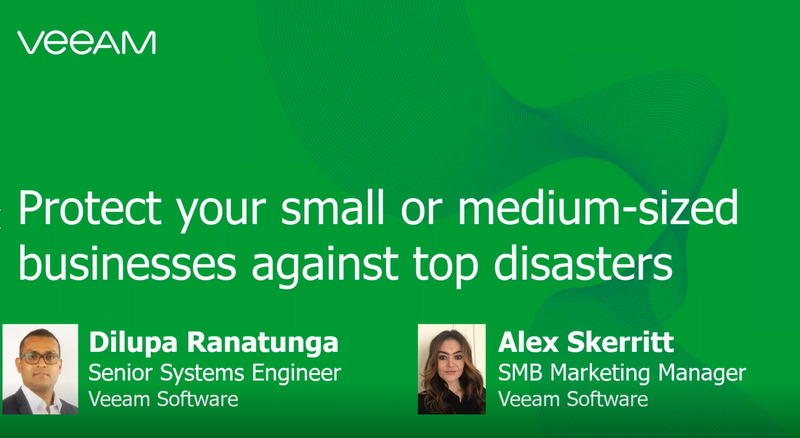 Join Veeam® Senior Inside Systems Engineer Dilupa Ranatunga for this one-hour webinar with a Q&A where we will detail the main threats for any business and the best practices necessary to combat them. Automated backup testing, Office 365 backup, endpoint protection and more! The new Veeam® cloud tier makes it easier than ever to ensure your long-term archival on object storage will be very smooth and won’t cost you a fortune. Choose between AWS Amazon S3, Azure Blob, IBM Cloud Object Storage or S3-compatible storage to avoid vendor lock-ins associated with secondary storage appliances and store data in the cloud without double charges. 2019 VCSP program enhancements: Introducing VCSP Pulse! 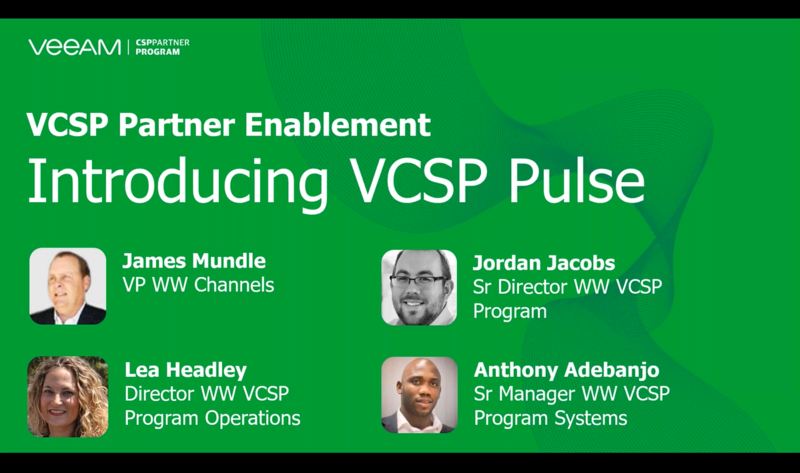 We are especially excited to introduce our partners to the NEW VCSP Pulse, which is an automation platform that serves as a collaboration hub between Veeam, aggregation and VCSP partners. Plus, partners will have the transparency and ease-of use needed to effectively manage license keys and rental usage reporting. 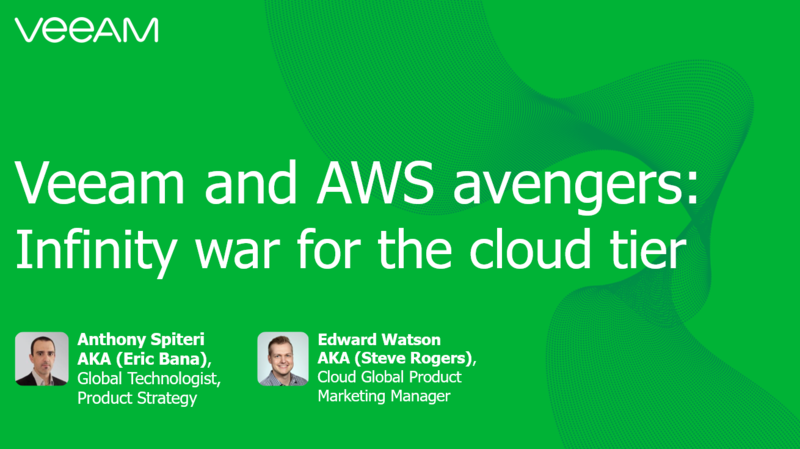 Veeam intends to expand its leadership in cloud data management, and we need your support to make that brand promise a reality. Don’t miss out on the chance to meet with the Veeam Team and learn more about how we can win together in 2019 (and beyond)! As a robust and highly capable Software as a Service (SaaS) platform, Microsoft Office 365 fits the needs of many organizations, providing application Availability and uptime to ensure users never skip a beat. But when it comes to protecting your Office 365 data, it’s easy to get confused with who’s responsible for protecting which part of your environment. Ultimately, you need to ensure that you have access to and control over your Exchange, SharePoint and OneDrive for Business data. In a world where organizations desperately want to avoid lock-ins, data portability is critical to maintain speed and control over the environment. To do this, you can leverage the AWS cloud as an additional location for your hybrid data center or as on-demand recovery site. 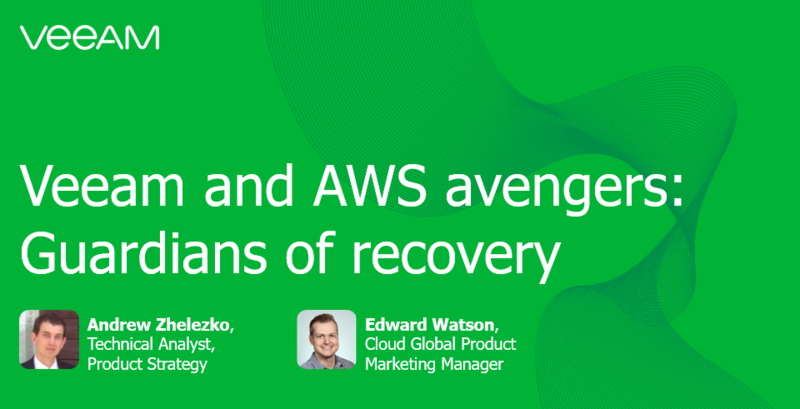 There’s no need to build or maintain a costly physical recovery site — you can backup anything anywhere and restore directly to AWS.